Hempalin Primer / Undercoat - above water only. 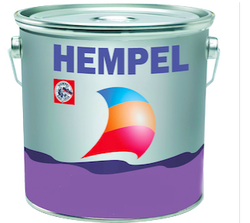 Hempalin Primer / Undercoat is a urethane modified alkyd primer and undercoat. Hempalin Primer / Undercoat is perfect to use in preparation for over coating with single pack systems. Suitable as an above water primer for most substrates and as an undercoat for Brilliant Enamel and Multicoat. Available in 750ml & 2.5 litres. Underwater Primer - Ideal for wooden hulls. For the use as part of a singlepack system all areas and substrates below the waterline including keels. Ideal primer before antifouling, either directly onto the hull or onto a primed surface and between an existing antifouling and a new antifouling. 2 part epoxy high build primer, forms a hard tough covering and is resistant to water & petroleum products. Available in 350ml, 750ml & 2.5litres.